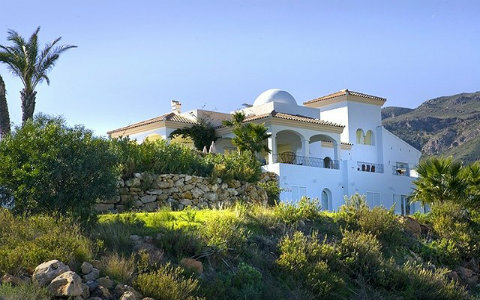 This is one of the Mojacar villas that is located on a small mountain, overlooking the Costa de Almeria, between Mojacar and Bedar. A spacious property with stunning views. While the floors are of Marble, the windows are large and ceiling high, giving way to unrivalled views from all rooms over the Mediterranean Sea. The decoration of bedrooms is of pastel colors while the bathrooms feature vanity units with basins inlaid in marble surfaces. The outdoors have many terraces, patio and recreational areas plus a solarium roof terrace. A wonderful opportunity to dining outside every day. 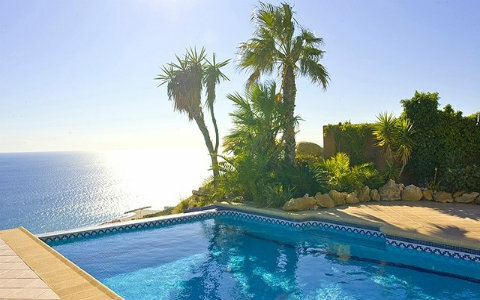 The spectacular infinity pool is surrounded by lawns, trees and shrubs. Thanks to its location, this villa enjoys privacy and yet it is within walking distance to bars and restaurants at the beachfront. The rooms are distributed on three floors. The dining and living room in the ground floors has a class corner window overlooking the pool and Mediterranean Sea, featuring two 3-seater sofas, TV, DVC and Music equippment, a dining table for 8 people with access to the outside patio. 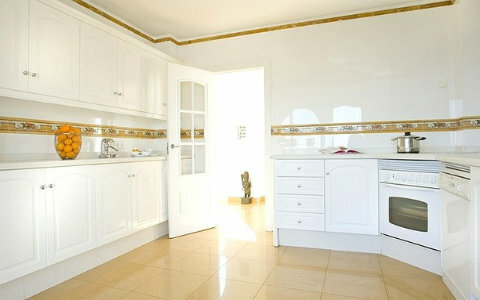 The kitchen is fully equipped with dishwasher and everything necessary for a pleasant culinary stay! 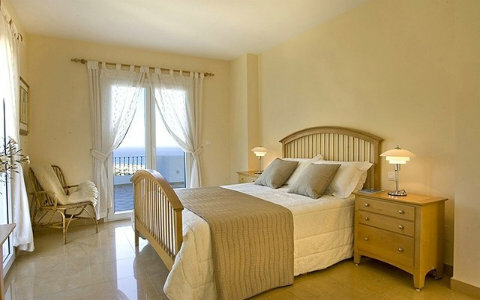 The master bedroom with en suite bathroom has a queen-sized bed plus a balcony. 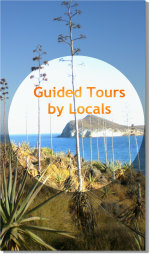 In the lower floor there are 3 doble bedrooms and one twin bedroom with access to the garden with views. 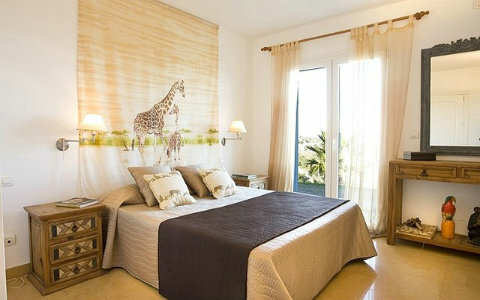 All rooms are differently decorated with warm colors. The upperfloor leads to the roof-terrace. The garage has a capacity for 3 cars and there is a table tennis, bikes, windsurf and golf equipment available for guests. 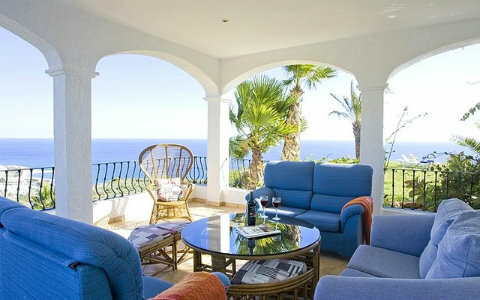 Find more Mojacar Villas here >> or virtually visit Mojacar to learn more about this region.